100 Stacked 3D Column ChartA chart with four 3D Column series representing the regions where a company made sales and retails, emphasizing the fact that all sales of one product makes a whole by making the chart of stacked type. 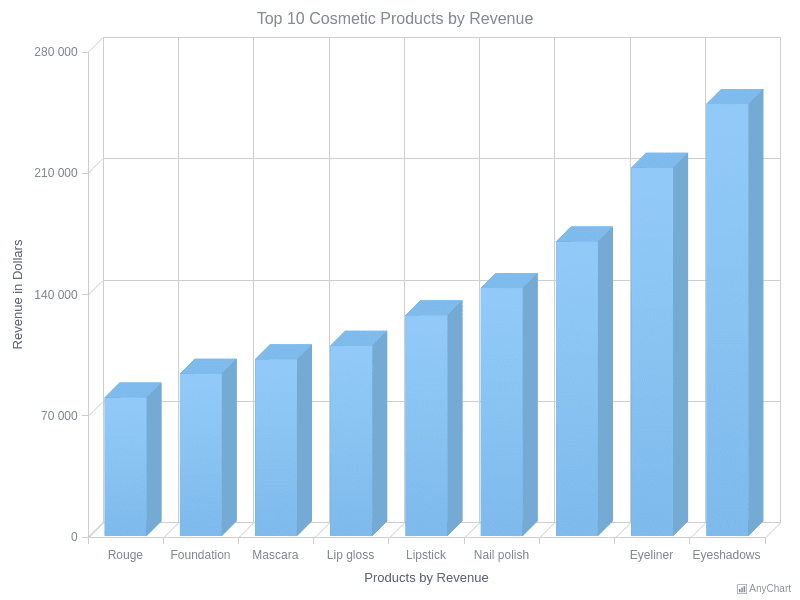 3D Column ChartA 3D Column Chart describing the revenue from three cosmetic products sales in four states. 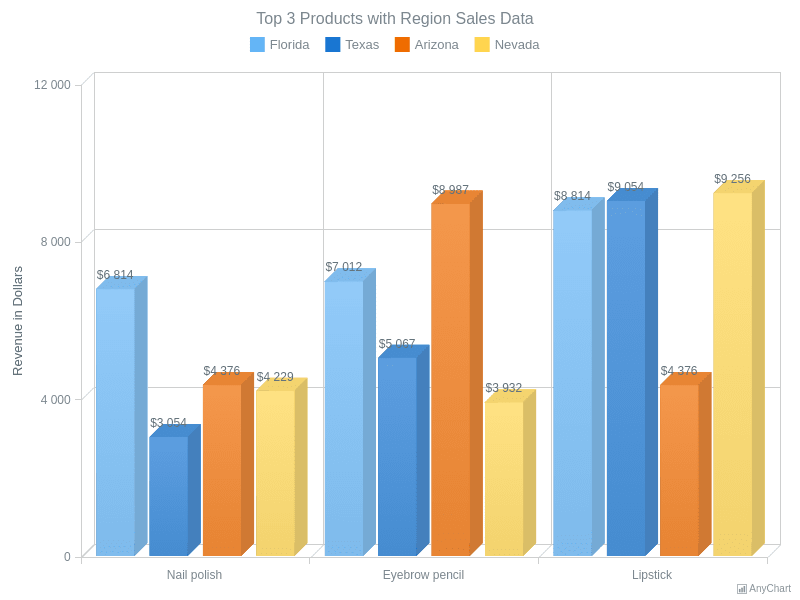 3D Column Chart with Columns OverlapA Column Chart describing sales in Florida and Texas. It demonstrates two features: how to make a 3D Column Chart and the overlapping feature for the points. 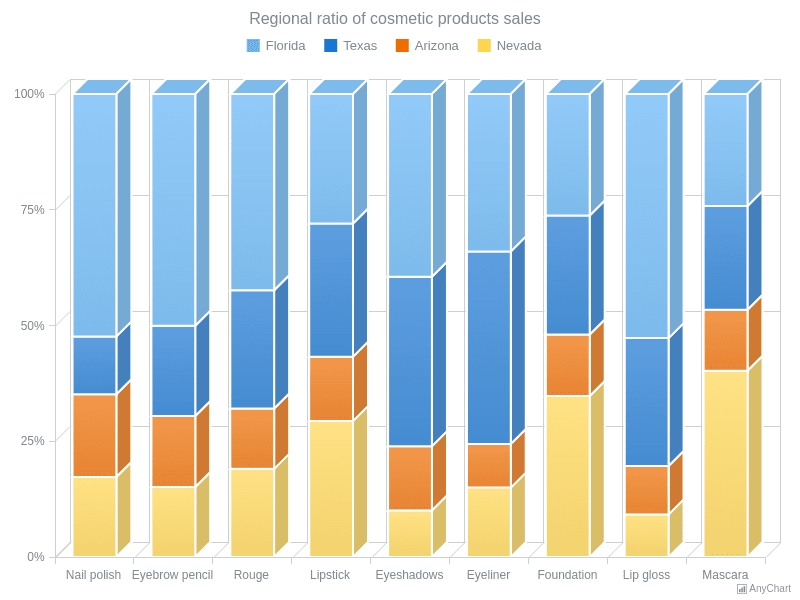 3D Column Chart with HatchFillA Column Chart with two series stand for regions where cosmetic products were sold. Series are created three-dimensional, which leads to customizing the series' look. 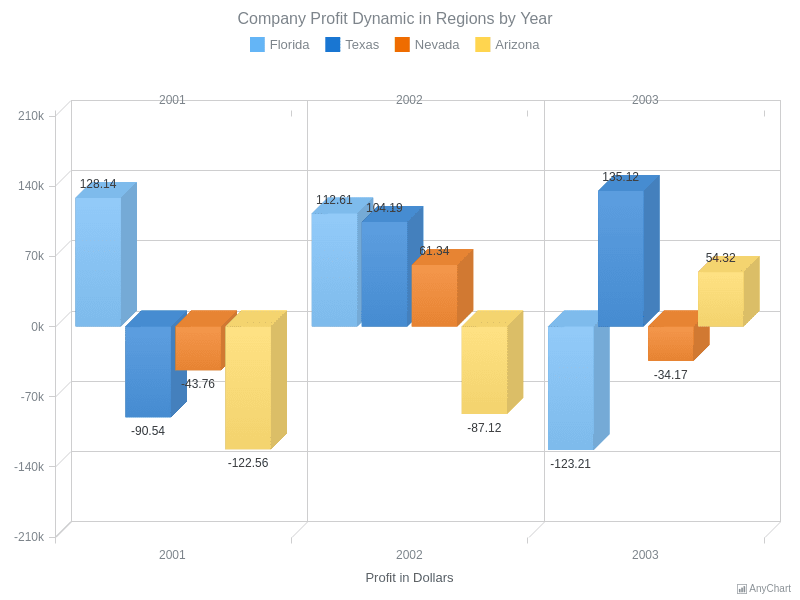 3D Column Chart with Negative ValuesA 3D Column Chart demonstrating the comparison between the profit of a company in three consequtive years (from 2001 to 2003). 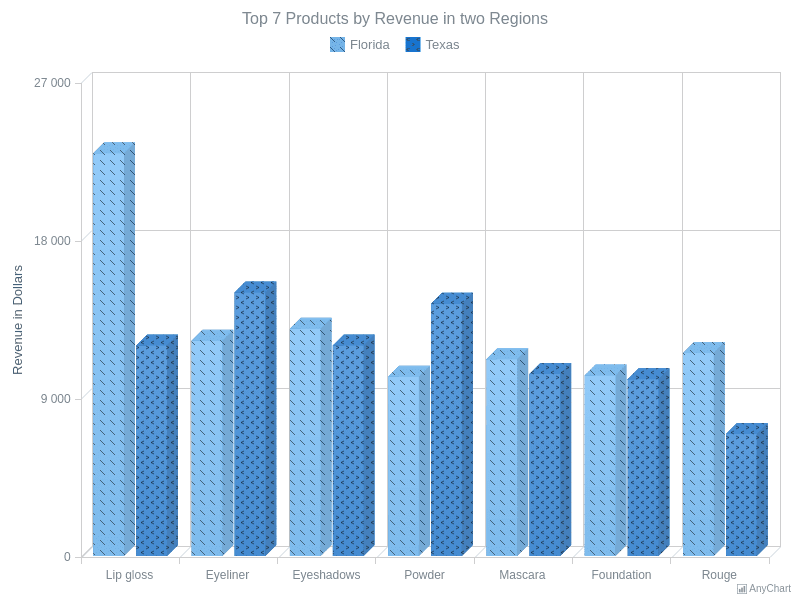 Multi-Series 3D Column ChartA 3D Column Chart describing the revenue from three cosmetic products sales in four states. 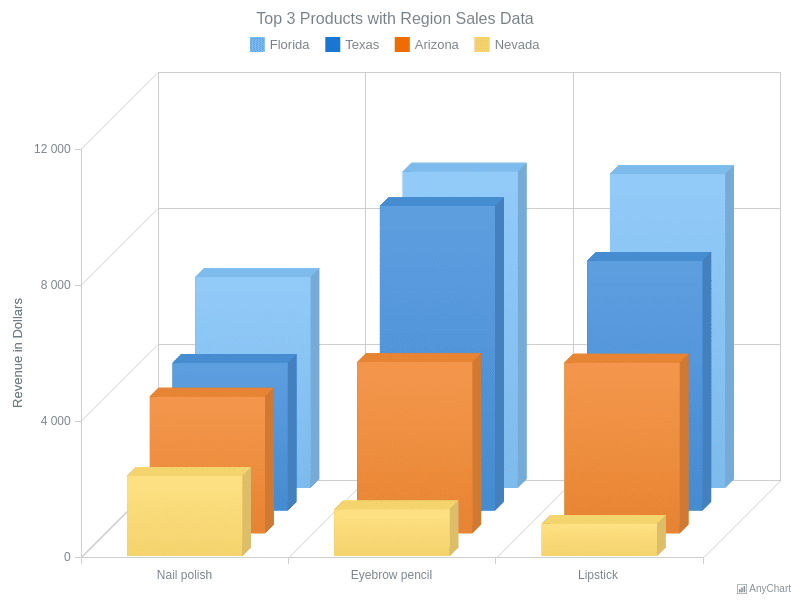 Multi-Series 3D Column Chart with Z DistributionA chart of four series demonstrating sales of 3 top cosmetic products in four states. The third dimension axis (Z-Axis) is used for distributing the columns that stand for different series. 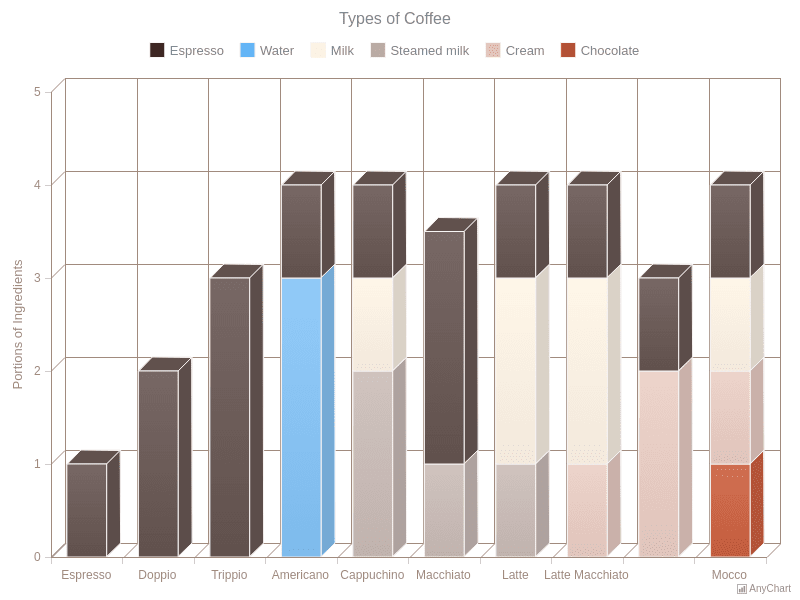 Stacked 3D Column ChartA chart demonstrating coffee types ingredients in proportions, where each series is an ingredient. 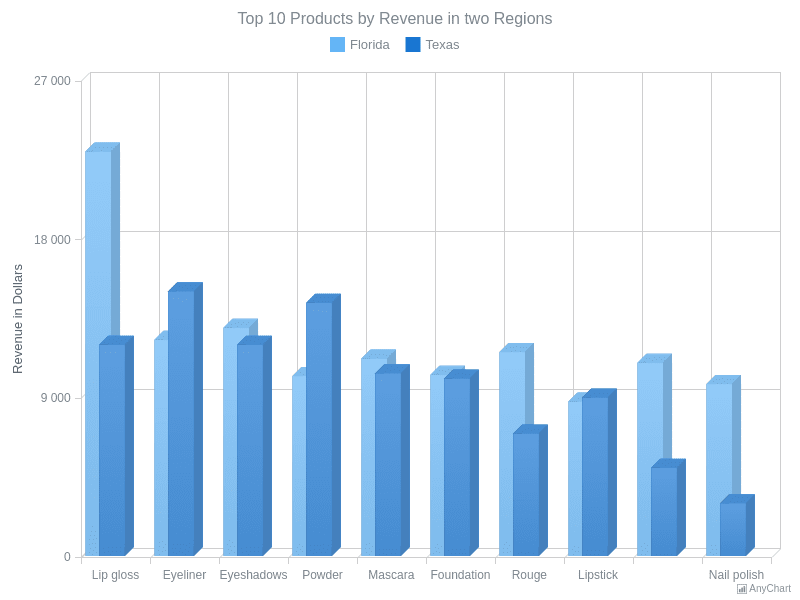 Stacked 3D Column Chart with Negative ValuesA chart with four series demonstrating the profit gained from top 10 cosmetic products in four states. 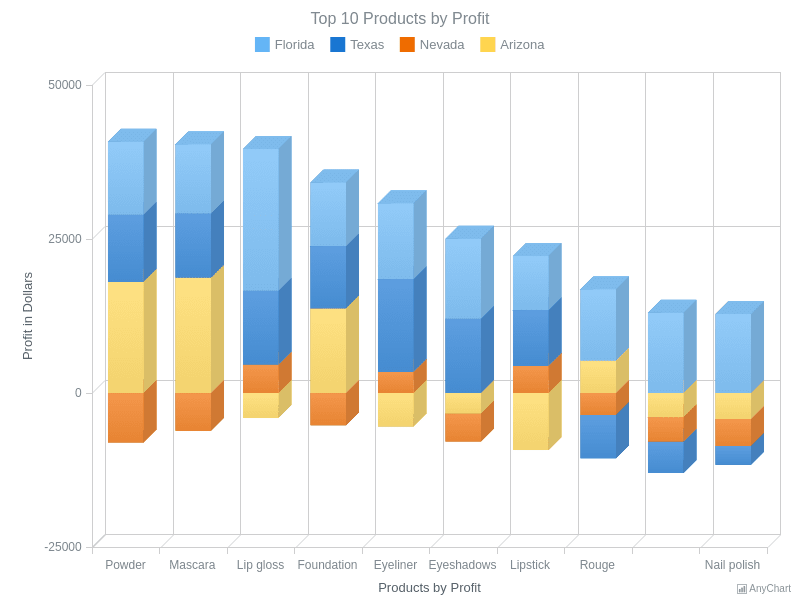 In some states a profit from some positions was negative so this chart has negative values.